Graaaaaaaah, must resist... must resist... ah hell. Anyway, here's a pic of the survivors for you, so that you can appreciate the hotness. XD From left to right, it's Ellis, Coach, Rochelle and Nick. LOL!!! omg I would totally read those fics! Nick is my favorite so I always play him. Yeah, I'm kind of the same way. ^_^;; I love the original survivors, although Bill is probably my least favorite. My favorite is Zoey by far. I need to play these games. P/E will be waiting for you. They needed some rest anyway. You should come play with me and Hazel someday last time all we did was chat about plotbunnies and the slashy things Nick says. I share your writing fic urge. Yes. Go to y!Gallery and check out the club called "The Mechanic and the Conman." :D There's a Left 4 Dead club on there as well. Here's her info: http://community.livejournal.com/girl_gamers/4908380.html?thread=72426844#t72426844 The only issue meeting up with her is the time difference. Ehehehe. ^_^;; The thing that bugs me is that I was able to play L4D1 with no pairing, no slashing, just good 'ol zombie killing. (Well, maybe I pair Hunter/Smoker a little bit. LOL) But L4D2? That all went out the window. 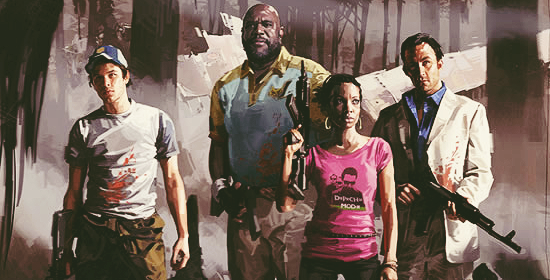 D: I still love the zombie killing, but I also love Nick/Ellis. D: Oh well. Ellis is hot though, is he not? I mean, check out that back. <3 And those muscles. Hot damn. Well, that's easy to understand in L4D1, I think. I watched a friend play too, and I really get the feeling they're all more so comrades then anything else, except for Louis and Zoey which I ship hard. 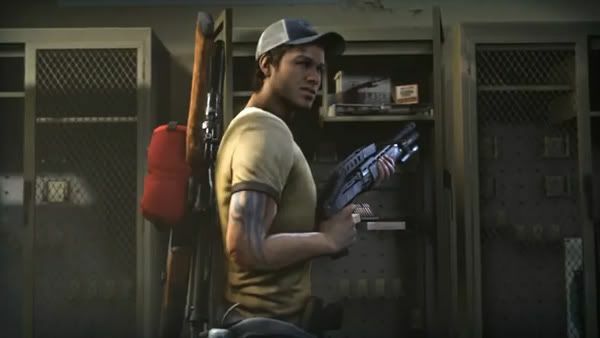 But hell, after even just watching the INTRO of L4D2, where Nick saves Ellis from the Smoker? Yeah, I was like "Well the fangirls are going to eat this one up."